Prep Zone Academy™ has been training young professionals and helping them ace the GMAT for more than 10 years. As such, we have seen our fair share of common misconceptions among GMAT candidates. While some of them are fairly harmless, a few of them can cause a student’s preparation process to derail completely, harming their progress and affect their final GMAT score. Today, our GMAT blog will discuss the 3 most crucial misconceptions about GMAT prep that we have seen throughout the year, and how you can effectively combat them to ace the exam. Let’s get started, shall we? Misconception #1: I should prepare for the GMAT as hard as I can. Verdict: Nope. If anything, preparing for the GMAT is like doing a marathon – a very, very long one. 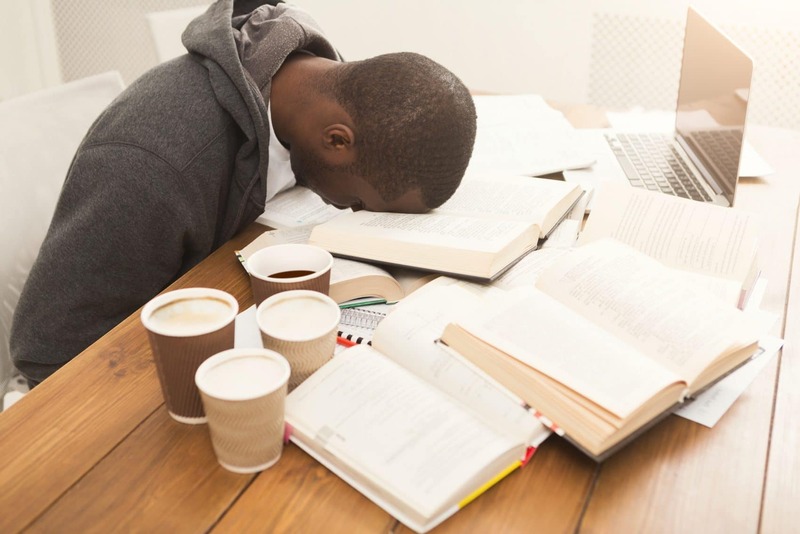 The biggest mistake we have seen with our students is when they engage full speed on GMAT prep for the first few weeks before burning out and giving up on the test. While a few of our students have successfully followed this sprinting approach (a French student owns the Prep Zone record of scoring 760 within 29 days, while having a starting score of 540), they are the exceptions, not the norms. For almost everybody else, however, you’d be better served by integrating a daily GMAT practice session (1 hour) into your everyday’s schedule. The key is regular practice, and your due diligence will pay off. By all means, avoid a 10-hour practice session on the weekend. Misconception #2: I should pay the same amount of attention to all GMAT topics. Verdict: No. The following statistics will surprise you. Believe it or not, the amount of knowledge needed to ace the GMAT is less than what you expect. Some topics are definitely tested more than the others, thus commanding more attention from you during your preparation process. For instance, did you know that Geometry questions account for less than 10% of the overall GMAT Quant section? Doesn’t make sense to do Geometry questions all the time now, does it? To beat the GMAT, you must become the GMAT (ok not really). You should map out the list of topics required by the test, and give the more important topics more practice time. Misconception #3: I just need to do more practice questions and tests, and I will score better in no time. Verdict: Good attitude, but aimless practice will get you nowhere. This is perhaps the biggest misconception that we have noticed – the mentality that you can score better by just practicing, but not paying enough attention to your specific weaknesses. Here’s the bottom line: you should know your weaknesses – all the time. Now that you know the GMAT ins and outs, you must structure your preparation and have a clear direction for your practice sessions. Students, too often, try to tackle all the concepts at once regardless of whether they are Quantitative or Verbal. From our past experience, students would be better served by spending more time preparing for the Quantitative section, at least at the beginning. Securing a 49/51 (74thpercentile) is much easier than it may seems the first time you look at the GMAT and the easiest way to score in the 700+. Additionally, you NEED to identify your weak points, careless mistakes, and whether you have randomly guessed a question. They are the key points to give you an insight on your weak topics. To address your weak topics, use the structure outlined in the error log. So, which sources to use? The golden rule is to only use GMAT official material, starting with their yearly Official Guide that includes close to 1,000 questions. Additionally, you can fully trust the Manhattan GMAT series and we strongly recommend you to spend time on the online GMAT Club. That’s all for today – see you next time! Need help with your GMAT prep? Are you facing any difficulties in your GMAT preparation process? Or perhaps, just want to chat to a trained professional to see how you can improve your GMAT score? Prep Zone Academy™ is here to help. 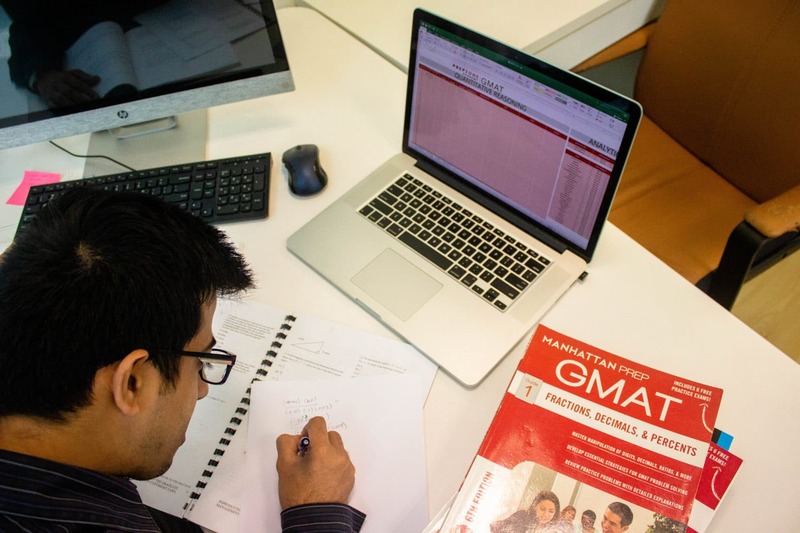 We are Singapore’s #1 GMAT prep centre, and have helped students acing the GMAT for the last 10+ years. Why not come in and have a short chat with our certified trainers? We are certain you will find the chat interesting. Besides, it’s completely free so what’s the harm?